A NEW MEDICAL show will debut on RTE One this November with the specific aim of taking the doctors to the people and battling the trend for inaccurate self-diagnosis online. 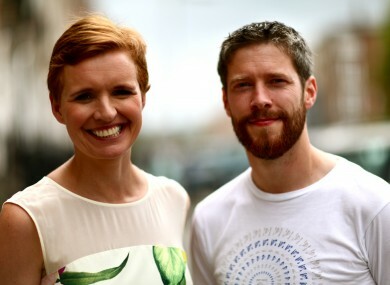 You Should Really See A Doctor will see doctors Pixie McKenna and Phil Kieran touring the country and meeting people via pop-up clinics to tell them exactly what’s ailing them. McKenna is of course a veteran of Channel 4′s long-running Embarrassing Illnesses/Bodies, while Kieran will be making his small-screen debut. Produced by Independent Pictures, YSRSAD is specifically looking for people who are prone to researching their symptoms online and might like a real doctor’s advice. “We’re looking for cybercondriacs really,” Cork native Pixie McKenna told TheJournal.ie. It’s an odd statistic, but 1 in 8 Irish people who research their symptoms online are diagnosing themselves incorrectly. We’ll be looking for common things that people misdiagnose themselves as having – irritable bowel syndrome, the first signs of diabetes, that kind of thing. We’re hoping to see those that ignore ailments, and also those who’d claim that they never normally go to the doctor. You know the type – those who’d walk into your surgery and lead with “I wouldn’t be here only so-and-so made me”. Both doctors admit that there’s a possibility they could catch someone who has a serious illness in their clinics. “That’s always a possibility,” agrees Kieran. But in such cases I would hope that we’ll catch whatever it is early and treat it early. “Hopefully what we’ll be dealing with will for the most part be mundane,” says McKenna. And we’ll be throwing out little nuggets of health and medical advice while we’re at it. You Should Really See A Doctor will officially kick off at the Taste of Cavan Fair on 8 August. McKenna and Kieran will also be at both the Limerick Agricultural Show on 22 August and the Offaly Irish Game and Country Fair at Birr Castle on 29 August. Whether you’ve an new problem, or something that’s been bother you for years, you can fill out an audience participation form for the show at this link. Email “RTE has a new medical show on the way with the most Irish title you could think of”. Feedback on “RTE has a new medical show on the way with the most Irish title you could think of”.